President Donald Trump meets with outgoing U.S. 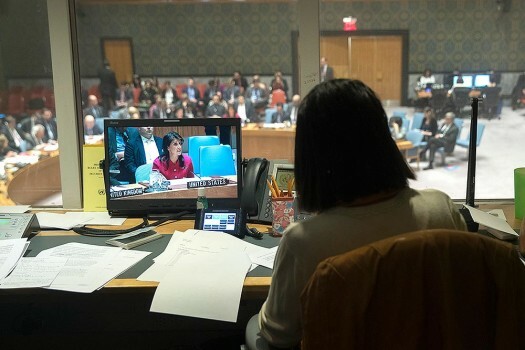 Ambassador to the United Nations Nikki Haley in the Oval Office of the White House. 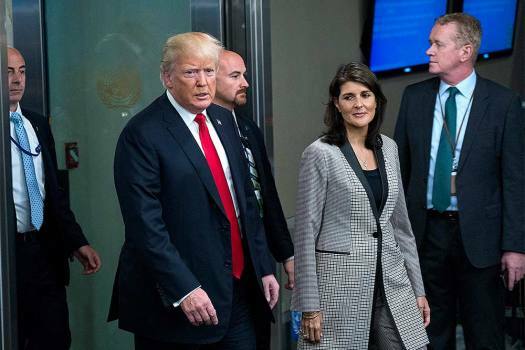 US President Donald Trump addresses arrives with Nikki Haley, the U.S. ambassador to the UN, during the 73rd session of the United Nations General Assembly, at U.N. headquarters. 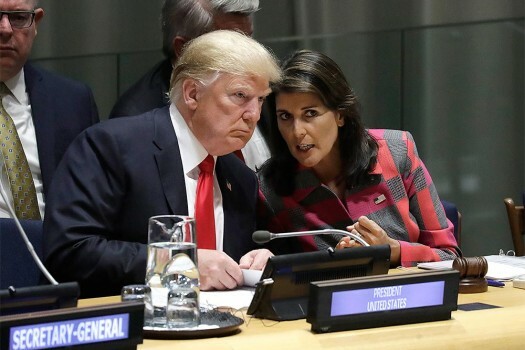 US President Donald Trump talks to Nikki Haley, the U.S. ambassador to the United Nations, at the United Nations General Assembly at U.N. Headquarters. 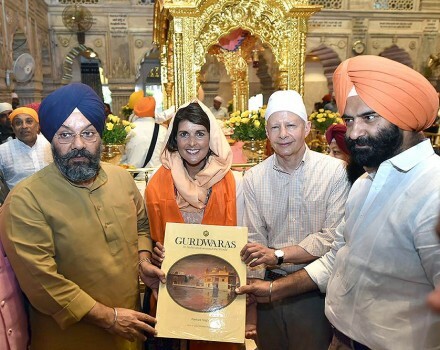 US envoy to the UN Nikki Haley poses for a selfie during a visit to Gurudwara Sis Ganj Sahib in Chandni Chowk, in New Delhi. 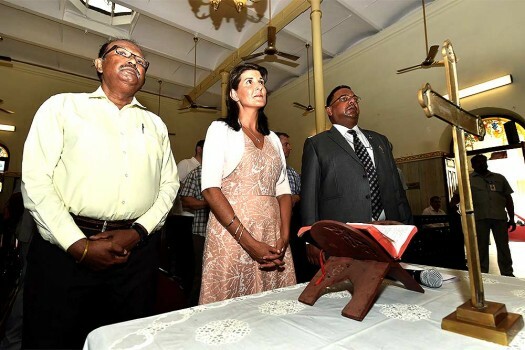 US envoy to the UN Nikki Haley during a visit to Baptist Church, in New Delhi. 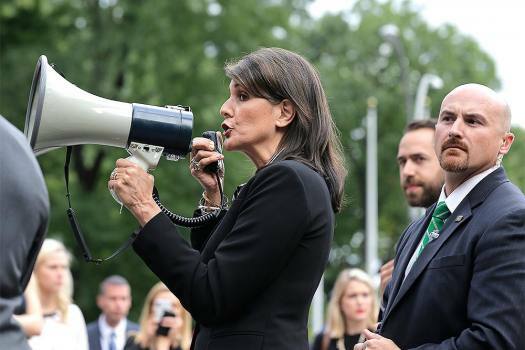 US envoy to the UN Nikki Haley during a visit to Jama Masjid, in New Delhi. US envoy to the UN Nikki Haley during a visit to Gauri Shankar temple in Chandni Chowk, in New Delhi. US envoy to the UN Nikki Haley offers prayers during a visit to Gauri Shankar temple in Chandni Chowk, in New Delhi. US envoy to the UN Nikki Haley with US Ambassador to India Kenneth Juster pose for photographs during a visit to Humayun's Tomb, in New Delhi. 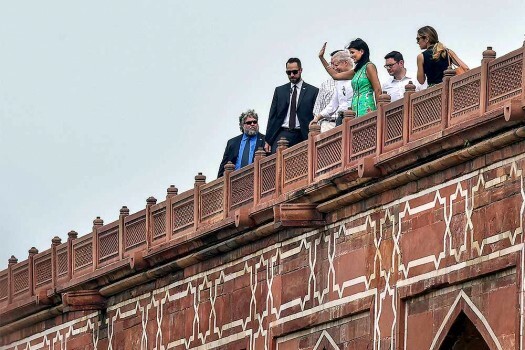 US envoy to the UN Nikki Haley waves during a visit to Humayun's Tomb, in New Delhi. 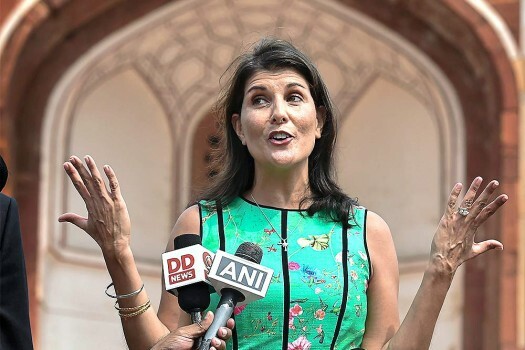 US envoy to the UN Nikki Haley talks to the media during a visit at Humayun's Tomb, in New Delhi. 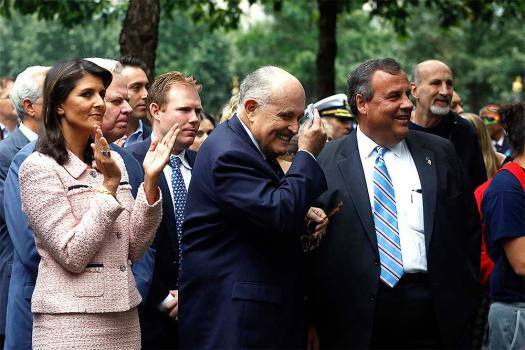 Haley congratulated Craft shortly after the president's online announcement. 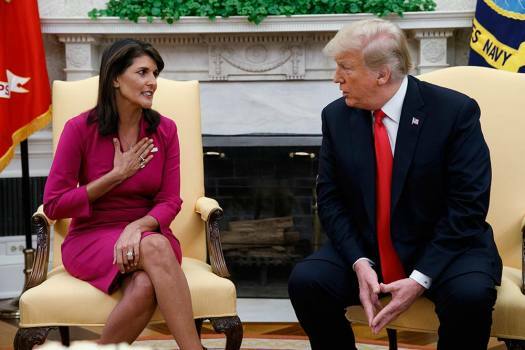 In 2011, Haley made history by being the first woman and the first person of an ethnic minority to hold the governorship of South Carolina. She also said that India and the US must be global leaders in the fight against terrorism adding "we can and must do more." 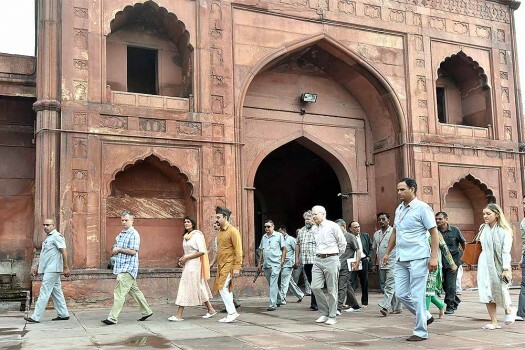 Haley visited the majestic tomb of Mughal emperor Humayun here and termed her visit as coming back home. 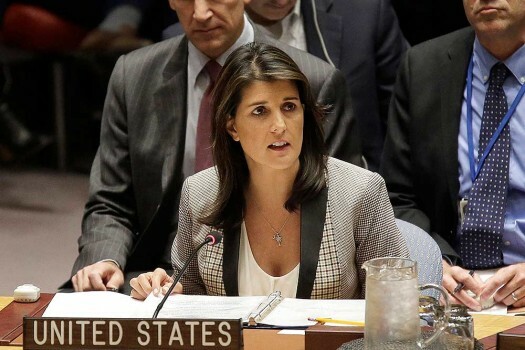 The US withdrew from the 1950-founded Council for being “hypocritical and self-serving” and showing “a chronic bias against Israel and a lack of reforms". 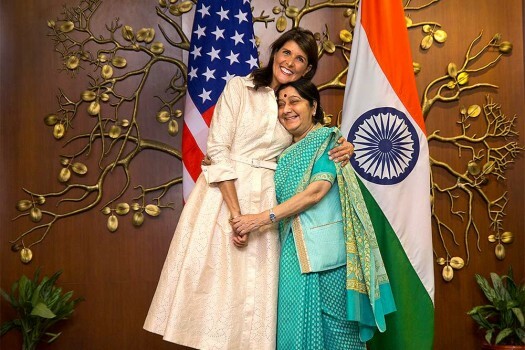 Could the US have an Indian vice-prez?